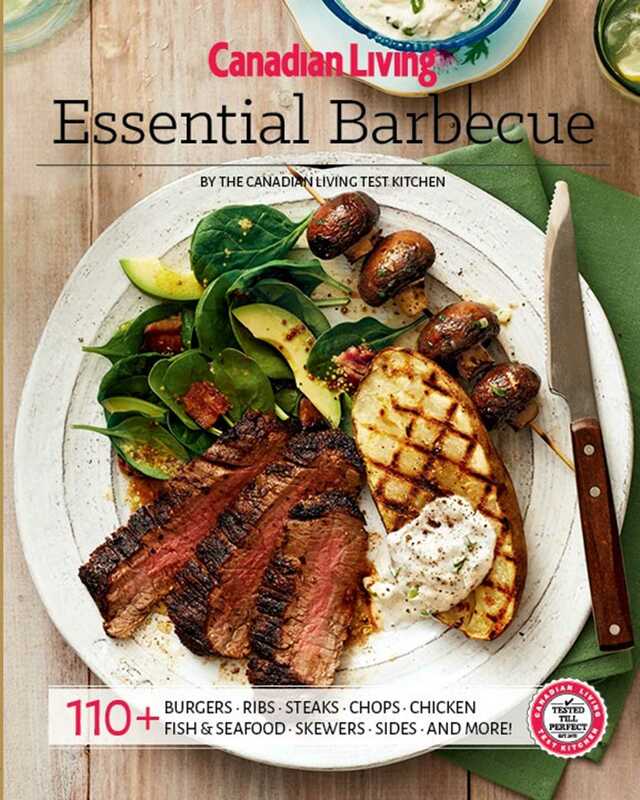 Grilling can be as gourmet as it is quick and easy with this collection of 90 of Canadian Living’s Essential Barbecue recipes. Expand your barbecue repertoire with this collection of Essential Barbecue recipes from Canadian Living. From homemade burgers to skewers, irresistible steaks to spatchcock chicken, this collection of 90 must-try recipes is complemented by grilled sides as well as sauces, rubs and marinades that are a cinch to whip up. Every type of fare for the grill includes a classic version, plus fresh ingredient ideas and new flavor combinations. Recipe types: Burgers, Sausages, Steaks, Chops, Ribs, Pork Tenderloin, Fish & Seafood, Poultry, Kebabs & skewers, Pizza & flatbread, Sides.